The issue of whether dealers should or should not charge for delivery is one that flares up every so often, causes a few inter-industry disagreements, and dies down once again having never reached a definitive answer. 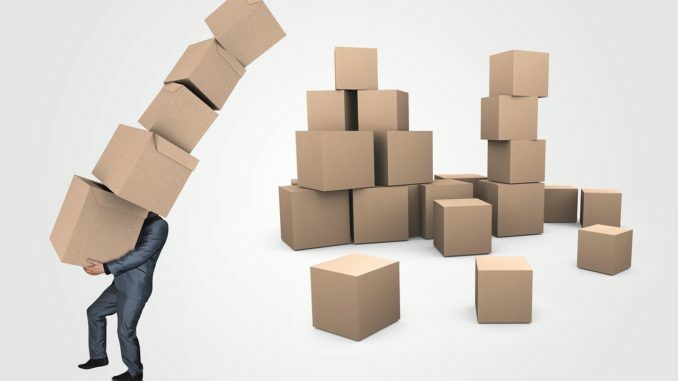 The fact of that matter is that wholesalers do implement a delivery charge – one that is calculated upon the true cost of that delivery – so why don’t dealers and resellers pass that cost onto their own customers? The reason that dealers began driving the concept of next-day and free delivery was, quite simply, competition. When dealers still numbered in the thousands, sweetening their deals with minimal delivery costs was a vital aspect of the business and, as e-commerce took off, customers began to expect – nay, demand – it. However, times have changed – mergers and acquisitions between dealers are at a high point and budgets are being cut – so can companies really continue to ignore the fact that deliveries do cost money? The answer, oddly enough, is yes. Many dealers still don’t consider delivery to be a true cost, simply because they have the van and a driver already, and the price of maintaining these things is not factored into the business as much as it should be. In reality, the van needs tax, tyres, insurance, fuel, and a driver who needs a wage and holidays. Businesses should ideally be figuring out what this actually costs them; the total cost of the van alone could reach £40,000 a year based on 30 deliveries per day over 250 days – why, then, would a dealer not seek to have the customer cover those costs? For the most part, the answer is fear. Dealers don’t want to risk losing business, because the customer has come to expect free delivery even in trying financial times such as these. However, if even e-commerce is seeing a change in this pattern, why should that not extend to other industries? Amazon now charges at least £2.80 unless the customer has a Prime account, and smaller sites are less and less able to offer free delivery as postage rates increase and profit margins shrink. Perhaps, then, the Prime concept is a potential answer to this problem. A subscription service could not only cover some of the delivery costs but may add credibility to a business, as well having the benefit of customers being less likely to baulk at the idea of paying extra. While independent dealers are likely to be the last to adopt any kind of delivery charge system due to that ingrained fear of competition, they may be open to adopting a subscription cost that is just a fraction of the price at the end of an invoice and could aid in creating return business; anything that makes a finance director’s life easier – like a rolling cost which remains the same regardless of the number of deliveries made – may be welcome. Another option for dealers is using a third party delivery system, which inevitably cuts down on costs due predominantly to the fact that they won’t need their own vans or drivers. Even if the business continues to offer free delivery, the cost compared with using their own equipment and personnel will be dramatically lessened; the argument against this is that smaller dealers especially consider their own drivers to be the link to their customers, and therefore a vital cog in business relationships. There is an opposing view that says this is not a strong enough reason to incur so many costs but it is unsurprising that, in such a traditional industry, it would be a priority. Dealers could also simply incorporate delivery costs into the product cost, creating a semi-hidden pocket of additional money for the dealer covering their van maintenance, driver, and fuel. What could prove more effective, however, is absolute transparency – would you prefer to know up-front what the delivery cost was on top of the product price, or have it embedded in? Is ignorance bliss in the business world? That is for the individual dealer to decide. Either way, the cost can be passed onto the customer – it’s simply a matter of making the idea as palatable as possible. Before coming to any kind of decision, what any dealer should do is figure out whether charging for delivery is justifiable for them. Ask yourself: how much is delivery costing you, and how can those costs be lessened? Most of these deliveries are next-day – but do they really need to be? Many customers would prefer to receive 100% of their order once a week rather than in several smaller increments across that time, for both practical and environmental reasons. Making large, single deliveries would certainly have a positive impact on cost and some dealers are beginning to change their policies of making several next-day deliveries to just one large delivery every three-to-four days. Are many dealers likely to break the mould and start charging for delivery in some way? It might be their only choice. The practice of free deliveries is well-established, but customers and dealers are aware that, logically, this is far from a free service. Whether this shifts is entirely up to the collective attitude of the industry. Many thanks to Steve Harrop, CEO of Advantia, and Philip Lawson, CEO of BOSS for their input and support with this article.